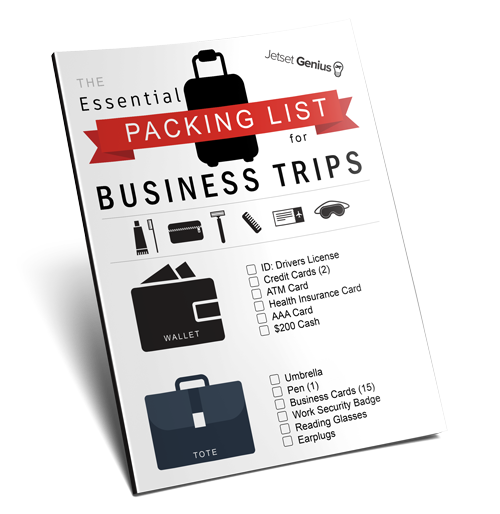 16: Should You Prepay for Rental Car Gas? Short answer... No, No, No! Should you prepay for rental car gas? Is it cheaper to prepay for rental car gas? It seems like an easy enough question… Would you like to prepay for rental car gas? Yet for some reason this single, simple question can put us travelers in a tail spin reaching for the calculator on our smartphones to come up with an answer. We think… the prepay gas price looks cheaper, but will I used the whole tank? 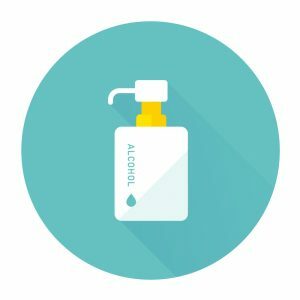 How much time will I have when I am returning to the airport? Then we see the $10 per gallon charge if they refuel it and it pushes us that way. 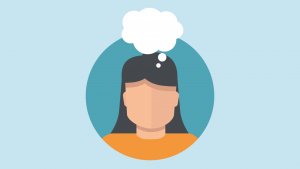 And we're often confused with the options in a seemingly unsolvable problem. We somehow know we're being tricked here, but we're not quite sure how. Until now! If you've seen Star Trek, you might remember a test they give new cadets in the simulator, called the Kobayashi Maru. It was specifically designed to be an unsolvable problem to teach cadets about no win situations. Prepaying for gas is our very own Kobayashi Maru. A seemingly unsolvable problem that we face every time we rent a car. I've rented hundreds of cars in my travels and yet I too am baffled by this question and often just answer randomly. Most of the time I say no and refill it myself. Other times it seems like a good option so I prepay and there are definitely times I'm running late back to the airport and pay the outlandish fees for them to refuel the car. But I've never taken the time to actually do the research, run the numbers and solve this problem. But for this episode, I did just that! I went to the rental counters at DFW airport and the Denver airport and walked up to every single counter, talked to them about their refuel options and took a picture of their prices. I visited all 7 major car rental companies at 2 separate airports and recorded all their prices. Then I drove to the nearest gas station to the rental car facility to record their gas prices and searched Google Maps for local fuel prices in the area to see how these prices compared to the average market price of gas. I then went home, and created a Frankenstein spreadsheet analyzing all the options. After crunching all the numbers, here's what I found. In this scenario, filling up a 15 gallon Toyota Camry near the airport would only be about $5 more than the market price a little farther away. So it's not really that big a deal here. But there are some gas stations that take advantage of this and charge up to double the actual price of gas. 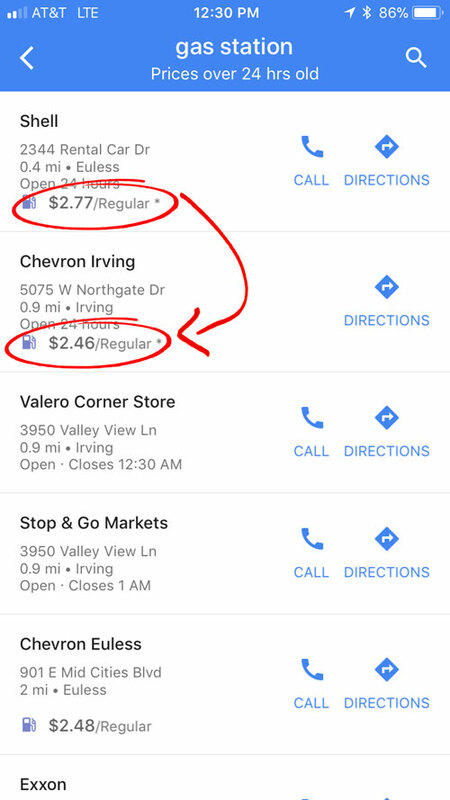 So if you are refueling the car yourself, doing a quick search on Google maps for gas stations near the airport, you can make sure you're heading to a station with reasonable prices. And since you're probably already using GPS in phone to get back to the airport, you might as well let it take you to reasonable gas station first. One of the big selling points they try to make for pre-paying for gas is that you'll pay less than at the pump, but what they are not telling you is just how much you'll be paying in taxes and fees. When you buy gas at the pump, taxes are included. So the price listed at the pump is the total price you'll pay. The taxes on gas with rental cars are much more tricky. 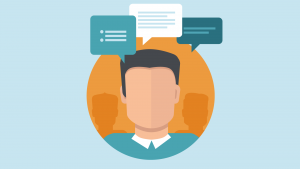 Every single agent I talked to was confused as to exactly what taxes would be charged on their gas prices. Sometimes they said taxes are included even though the signs clearly stated that there are additional taxes and fees. And these taxes and fees can easily eat up any potential savings from the prepay prices. 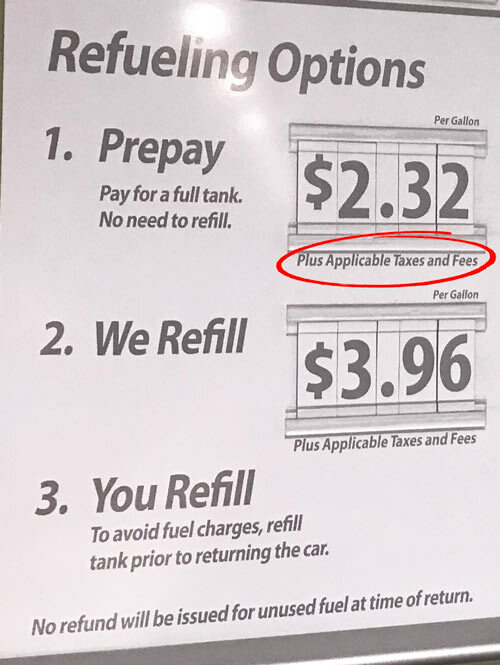 If the prepay prices to be $2.32 per gallon, but when you add 8.25% sales tax on that, it's really $2.51 which is more than the local market rate of $2.45. And if they don't charge taxes, some companies add a flat refueling fee which can also override any potential savings. National and Alamo had the cheapest listed price at $2.32 which is less than the market rate at $2.45 and than airport gas station at $2.77. 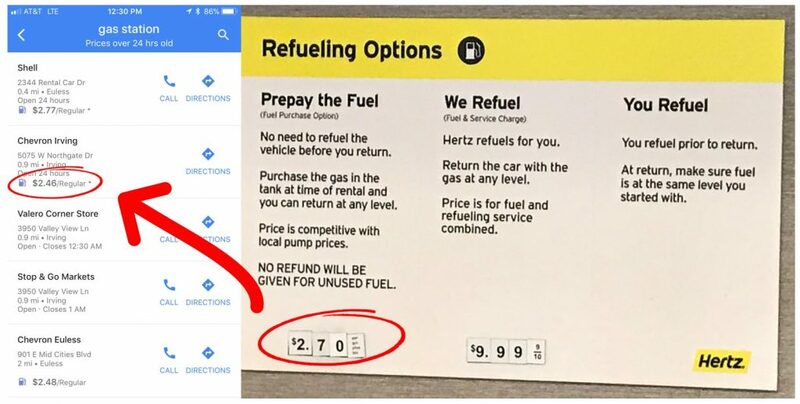 But Hertz and Thrifty both charged $2.70 per gallon, which is MORE than the market rate of $2.45 and only slightly less than the market rate at $2.77. And as we looked at earlier, these prices don't always include taxes. Don't just assume that the pre-pay prices are cheaper than at the pump, most of the time they're not. The biggest oversight with prepaying for gas is that you buy the entire tank of gas ahead of time even if you don't use it. So if you pay the $40 for the gas but return it half full, you've just thrown away $20. And that's where they get you. You are betting that you'll use all the gas you pay for but that's rarely the case. So how much of the gas do you have to use to actually realize the savings? This is the what I call the break even point. And after running the numbers, it's a bad deal. 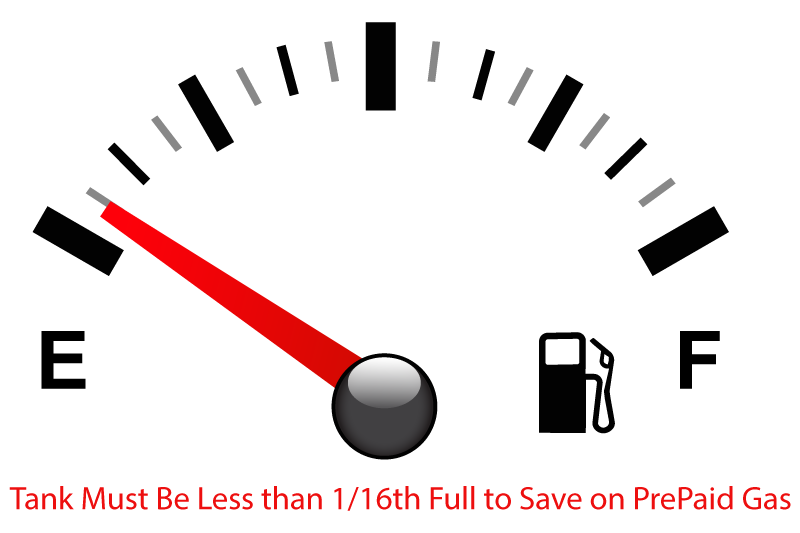 In order to save anything you have to return the car with LESS THAN 1/16th of a tank left! What are the chances that you'll just happen to time your mileage just right so you pull into the rental car facility and run out of gas? It reminds me of the Seinfeld Episode where Kramer test drives a car that Jerry's thinking of buying and tries to see how far it will go before if runs out of gas. It's hilarious in the show, but that's exactly what we're doing when we prepay for gas. And the car rental companies are betting that you return the car with gas left in tank. And if you prepay, you are essentially giving them free gas. So why do we even consider prepaying? On the surface it looks like we're going to save money, but how much exactly? When I ran the numbers, even in the best case scenario, if you prepay, return completely empty and all the stars align, How much can actually save? That's it… wow so much for huge savings. That's the potential upside if you return it empty, but anything over 1/16th of a tank and you're paying them. So remember that next time they ask you the prepay question, do you really want to risk that just to save $4, when most likely I'll be losing that anyway? One of the best things I learned while approaching each car rental counter was not only that they all charged different amounts for prepaid, but more importantly they also charged drastically different prices to refuel the car for you. Most of the car rental companies charge an outlandish $9.99 per gallon to refuel the car for you!!! Filling up that 15 gallon Toyota Camry can cost $150 vs the $23 at the pump. That's $127 you just threw away. Rental car companies that do this should be embarrassed for this practice, it's obvious price gouging. But they should be even more embarrassed because not all rental car companies feel the need to screw their customers. While price shopping I found that while everybody else charges $10 a gallon, Enterprise and National both charge a much more reasonable price of $3.50 per gallon. And Alamo was close behind at $4.50. Sure it's a bit more than the price at the pump but they are filling it up for you. So on a 15 gallon car, that's only about $15 more than what you'd already pay. And if that meant the difference of me catching my flight or not, I'd sure pay that. I just assumed that every car company charged the same amount, but there is a huge difference. Such a big difference in fact that I'd say it's worth ditching your old rental car company for Enterprise, National or Alamo. 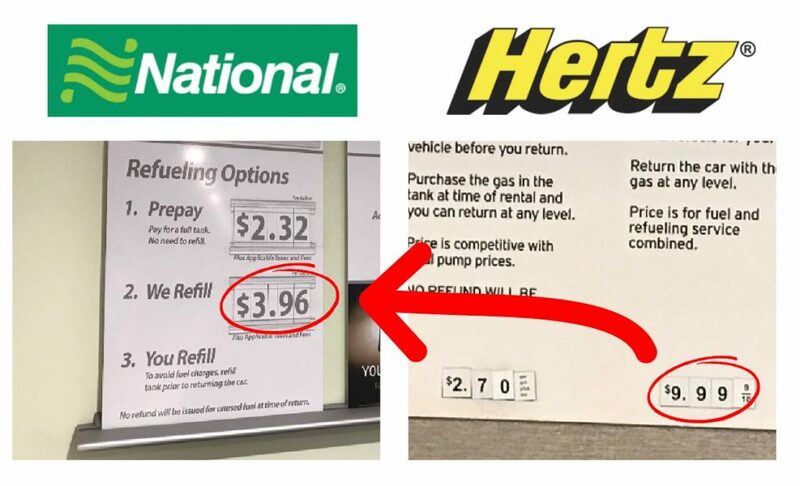 Whether or not you decide to prepay for gas, I'd much rather rent with a company that won't screw me on the refueling charge if I don't have time to refuel the car before returning it. We did it! We solved the Rental Car Koboyasi Maru! Prepaying for rental car gas is NOT the cheapest option! It's simply a way for rental car companies them to make more money off you. But even though we've covered it at length here, I still know what's going to happen. The next time you get to the rental car counter, they are going to ask you the same question and it's still going to make you freeze. So here's a quick acronym to help you remember. … or just remember these lyrics I've rewritten from the Amy Winehouse song. So when they try to make you buy the prepay, just say No, No, No!